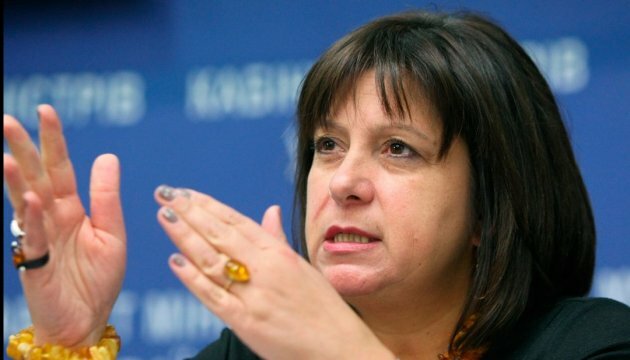 Former Ukrainian Finance Minister Natalie Jaresko delivered her report in the first key part at the East Forum Berlin on Tuesday, despite the fact that she is no longer a minister. Her speech was filled with facts and figures, as well as political messages, and can be regarded not only as provision of information to nearly 400 participants of the forum representing 40 countries, but also as a progress report of the recent government, in which Jaresko held one of the key positions. Hence, it was a report about her work as well. At the same time, Natalie Jaresko refused to give an interview. She said that she did not talk to the press in the last few days. However, she answered Ukrinform’s one question about her plans for the near future. And when a correspondent noted that many people likely wanted to talk to her, she remarked: "No-one wants to." However, she did not seem to be completely genuine when she said this. We have decided to underline the highlights of Jaresko’s speech at East Forum Berlin. Ukraine, with its distinctly European identity, at the center of the European continent, faced numerous challenges that its neighbors to the East over the centuries, to the point where in the 21st century during our Revolution of Dignity in 2014 or Maidan we took the ultimate sacrifice on the part of the Ukrainian people to once and for all declare that our country stands for Pan-European values, for dignity and freedom, political, social and economic, our truly inalienable rights. This forum has a fundamental focus on the economic dimensions of this East-West relationship. And that is precisely why the example of Ukraine is a key to understanding the processes underway across the continent. I need to emphasize here how incredibly difficult this transformation has been. We have illegal annexation and occupation of 7 percent of our sovereign territory, and disruption of 20 percent of our national economy. Frankly speaking, the biggest barrier to free trade and cooperation, the biggest source of trade loss, is the presence of foreign tanks and troops in our country. 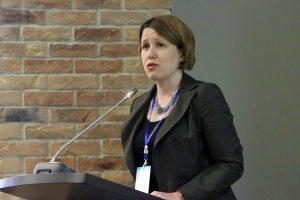 When addressing the power dynamic transforming Ukraine today, I suggest we focus on three fundamental economic questions: first, the macroeconomic stability, second, the business colimit, third but not least, the fighting with corruption. Contrary to what many predicted a year and a half ago, Ukraine has successfully managed to stabilize its macroeconomic situation. Let’s look on few indicators. At the beginning of 2015 monthly inflation was reaching a dangerous 14 %, it is now stabilized, and in February this year we had faced deflation 0.4 %. After massive depreciation at the beginning of 2015 our currency is now stable. The national bank foreign exchange resources stabled at the level equivalent to more than three months of import, three times more than a year ago. The public finance deficit was divided by five in just a year – it went from 10.1% of GDP in 2014 to 2.1 of GDP in 2015. And after a GDP contraction of 6.8% in 2014 and 10% in 2015 for the first time actually it grew for the first quarter in 2015. The IMF forecast is 1.5% GDP growth for 2016. After 42 months of continuous decrease, Ukraine’s industrial level has increased for the first time in February by 8%. As you can see, as compared to a year and a half ago, Ukraine’s macroeconomic situation has improved dramatically. Our economy has bottomed out. No one dared imagine such a deep and quick transition. But we did it with necessary political will. Our situation has dramatically improved, but it remains fragile. Looking at the future, I foresee five challenges for Ukraine today. First: even if our economy is again growing, it is starting from a very low race, it will take time for the Ukrainian people to enjoy the benefits of this return to growth and move to prosperity. This will be the key characteristic of success, not statistics. Second: our economic recovering has greatly on the security situation in the Donbas region. Ukraine is committed to peace, but it requires full implementation the Minsk Agreements by the aggressor first. Third: the global economic environment is not favorable. Last week the IMF warned about persistently slow growth in developing economies, critical commodity prices are depressed, and this will directly impact Ukraine as well. Fourth: Ukraine is to continue be on the path of fiscal constraint, we need to further shrink our deficit, and live within our needs. This means focusing our limited budget resources on critical needs. Fifth: Ukraine is highly dependent on its IMF partnership. And I believe that’s a huge asset, as it provides not only financial support, but it provides confirmation of our own reform agenda. Only if we fully implement the IMF program, can we renew the strength, trust and confidence and set business partners and international community more broadly. Here again, comparing to two years ago, situation has improved dramatically, and we start seeing investors coming back to Ukraine. Cargill has invested 120 million dollars in port infrastructure, in modernization in Odessa. Leoni is looking to double its capacities in Western Ukraine for the production of repair parts. Japanese Fujikura just opened the facility in Lviv creating 200 new jobs. Ericsson announced the opening of an R&D facility. Five things have explained this dynamic. First: stabilizing the macroeconomic situation, what’s essential for business. Companies cannot operate if exchange rate fluctuating. Second: we started to massively deregulate our economy. Let me give you just a few examples. The number of permits has reduced from 143 to 84. The number of licenses was reduced: from 56 to 30. We introduced a two-year moratorium at any inspections for small businesses. The registration time for ships and cargo in port to arrive at the port has reduced from hours to just 16 minutes. Business in Ukraine can now be registered online the 24 hours. And third: we have dramatically reduced the tax burden. Unified social tax as example became from 41 % to 22%. The number of taxes and fees has been halved – from 22 to 11. Fourth: we have given full and effective access to public tenders for all domestic and international companies. I’ll give you bright example: for the first time since Ukraine’s independence the winner of tender to provide catering to the Ukrainian military is foreign company – Metro (one of the sponsors of this forum). And it sends a very strong message to the international business community that Ukraine’s open to business. But open and fair competition also saves mass of money for the Ukrainian budget. Fifth and perhaps most important here today: thanks to the deep and comprehensive trade agreement with the European Union as of January 1, companies operating in Ukraine enjoyed direct access to the European market and will see effective implementation of EU standards in all – from audit to customs, from fitosanitarian norms to antimonopoly legislation. And this is an enormous advantage. 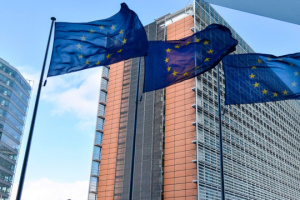 Ukraine can now effectively become a manufacture platform for Europe and beyond. The corruption was and remains the poison in our society. Over the last two years Ukraine’s achieved very important results in fighting corruption. But it is a process. To fight corruption, we have already implemented a three-prong strategy. First, we tackled vested interest by putting end to privileges, preferences, and schemes. These implemented reforms had saved us from 2 to 4 billion dollars per year. We got rid first of all of all the gas intermediaries which were stealing billions of dollars without producing any value added to our country. This is probably the single most important decision Ukraine’s taken to ever tackle corruption. We did increase our domestic gas taxes. So 450%. Painful, but it has started to put an end to the massive energy steeling that occurred in our domestic market. We’ve fixed many of the corrupt loops that helped tax evasion including tax for pricing law which puts away the ability of oligarchs to transfer their profits abroad. We’ve introduced electronic VAT system which has put an end finally the scandalous practice of fraud VAT, refund claims. We started systematical audit for all Ukrainian state enterprises. The second group of our activities is eliminating this fix for corruption to reappear by fostering transparency. We’ve developed e-government and gave the powers to society to check on public officials, in an irreversible fashion. Civil society is the best in fighting corruption institutions. We’ve introduced this electronic procurement systems improving transparency, cutting down opportunities for corruption and saving millions for the state budget. We’ve given broad public access to the state property registers as well as full information on state owners of land. All government spending is online, in real time. 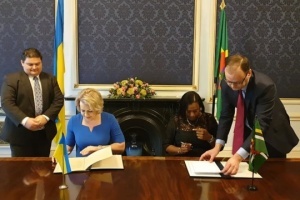 I’ve recently been to the Hague, and my colleague, minister of finance, couple of times stated that they could actually follow the Ukrainian example. And now all state officials must fully disclose their assets and their tax operations. In this regard, we’re even farther than some European countries, the debate continues on this issue in the UK. The third group of our efforts is building new institutions, stepped with newly hired people and the market salary level to bring corruption and criminals to court. New national police forces were established in 18 cities as of today, 14 cities are in plan to the end of the year. 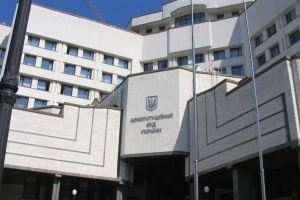 And the newly established National Anti-corruption Bureau has already investigated more than 80 cases of alleged corruption, including judges, servants, prosecutors, university rectors and others. Although a lot has been done it’s certainly far from enough. Judiciary should’ve been reformed earlier. There can’t be impunity for the law. Continuing the reform of the judiciary is the top priority. There could not be any sustainable investment or prosperity unless we fully reform its judiciary. Rule of law is the anchor to all reforms to be successful. We know it’ll take time. That is why we need to make strenuous efforts to accelerate this process. To accelerate the support. The fundamental transformation is underway today. You, our partners, must stay engaged. There is too much at stake. Success of Ukraine is essential for the success of Europe and East. Ukraine’s a laboratory of change for many countries. This will require patience and continuing commitment. Ukraine’s transition will not be a quick process. There are no parallels in history for reforms on this scale. It will take time, which is why we need to feel this process forward each and every day, step by step. A millennium ago, during the times of our king Yaroslav the Wise, Ukraine was a part of the vast European family and supported dynastic and economic ties with countries and peoples across this continent. Today on these dramatic events of our history we are undergoing a deep transformation of our economy. Ukraine is returning home to Europe which is itself undergoing a serious transformation. Together, by focusing on that which binds us, by recognizing the embracing, the fundamental rights and values that all our people desire and deserve, I have no doubt that this transformation will be successful. For a Europe – full, free and in peace.